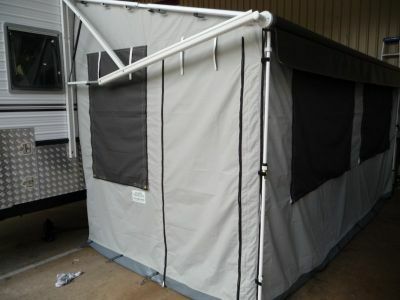 Introducing a new annexe, designed to fit the A & E electric roll out awning. Made exclusively for Bushtracker to our requirements with a new, special lightweight material (lighter than canvas, more compact in storage, mould resistant, lets more light through). Every window has a charcoal flap cover, flyscreen and window clears (so windows can be seen out of even when raining). These will be available in stock at Bushtracker within the next month in the most common sizes. For further details, please contact Bushtracker. Steve this looks great. 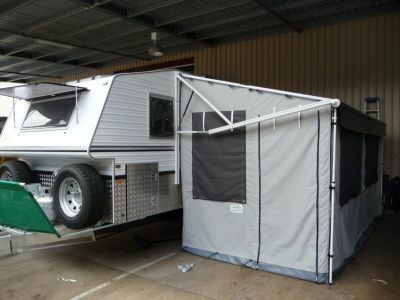 At the moment we're torn between the ease of setup of the awning itself for the A&E, and the ease of setting up the annex for the Aussie Traveller. 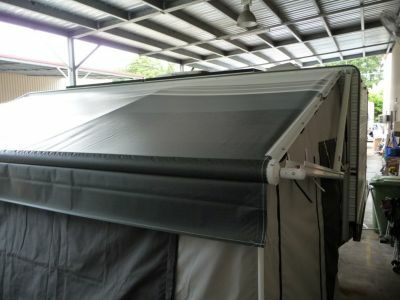 How does this annex attach to the awning? How would you rate it for ease, compared with the AT? Cheers and thanks for the ongoing development. 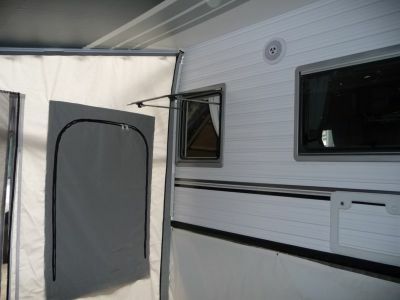 We have the electric awning and the displayed annex, very quick and easy to install and connect at the corners (zippers)and onto the van(velcro). I can do it on my own but save 5 mins with Sharon helping. We have put ours up about 4 times now and it probably takes 15 mins maybe 20 max if a little windy. 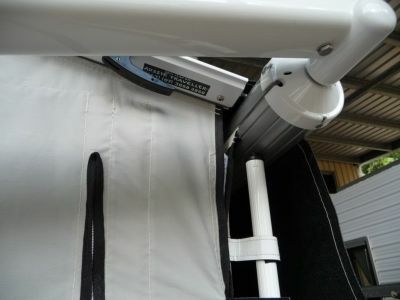 BT suggested a sail track on the drivers side of the van, the shade sail fits on there brilliantly and is great for parking the tug and added shade. Does BT do a floor for the annexe and can it be made snake / mouse, etc proof? 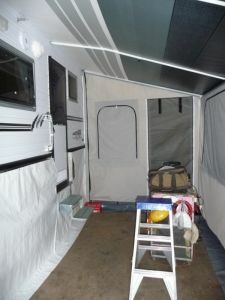 "BT suggested a sail track on the drivers side of the van, the shade sail fits on there brilliantly and is great for parking the tug and added shade." 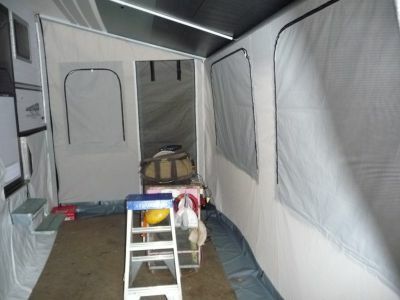 We have a sail track on the righthand side and a shade to go with it. This makes the whole set up very adaptable and shading the wall in hot weather helps as well. With the shade in place we leave the windows open in light rain. We only use it for extended stays. 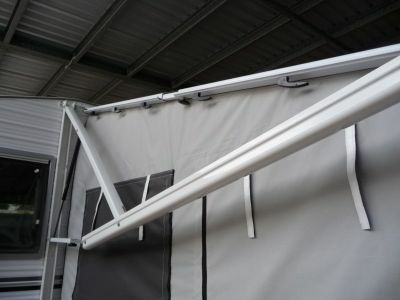 Where did you purchase the RH Side sail set-up from. BT or do we get from some other supplier.